Imagine for a moment that you are 6-years-old and you are woken in the early hours, bathed and then dressed in rags before being led down to an ominous looking tent at the end of your garden. And there, you are subjected to the cruellest cut, ordered by your own mother. 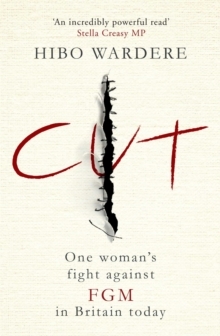 Forced down on a bed, her legs held apart, Hibo Warderewas made to undergo female genital cutting, a process so brutal, she nearly died. As a teenager she moved to London in the shadow of the Somalian Civil War where she quickly learnt the procedure she had undergone in her home country was not 'normal' in the west. Today Hibo finds herself working in London as an FGM campaigner, helping young girls whose families plan to take them abroad for the procedure. She has vowed to devote herself to the campaign against FGM. Eloquent and searingly honest, this is Hibo's memoir which promises not only to tell her remarkable story but also to shed light on a medieval practice that's being carried out in the 21stcentury, right on our doorstep. FGM in the UK has gone undocumented for too long and now that's going to change. 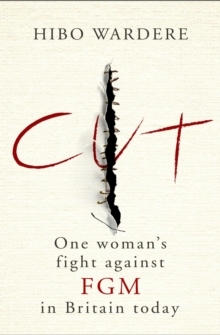 Devastating, empowering and informative, this book brings to life a clash of cultures at the heart of contemporary society and shows how female genital mutilation is a very British problem.